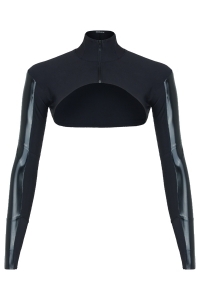 Bolero jacket made of lycra and latex. "Ersilia" has a stand-up collar and in front a detachable zipper. On the sides the sleeves have a wide latex strip.